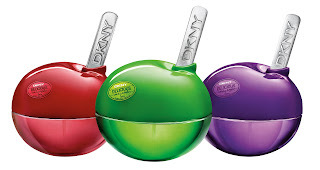 DKNY's new Delicious Candy Apples fragrances are a sweet treat with no calories. These fun apple bottles even have their very own stick. There are 3 scents- Ripe Raspberry, Juicy Berry and Sweet Caramel. Sweet Caramel- This reminded me a lot of the original Be Delicious. 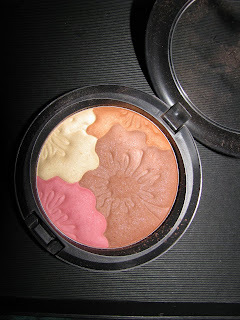 I didn't detect too much caramel, but if you love the originals and more aquatic florals, then this one will be for you. Juicy Berry- This one was a surprise. I often don't like blackberry notes but this turned out to be a fun, fruity burst of berry. Black currant is also in there as well as lychee, so this one is a fruit salad of a scent. It may have a purple bottle but it bears little in common with De Delicious Night, also a blackberry based scent. That one was more gourmand and musky. Ripe Raspberry- Not as raspberry as you'd think ( and I'm not a fan of raspberry either ). Lots of watery floral notes here and apple. Notes list lime and a cola accord. Not smelling those much but there is a hint of something sort of 7Up-ish that might be that cola note. Plenty of light woods in the drydown , and this ends up being a soft scent . The Juicy Berry is my pick here. It was the least floral of the 3 and the most different from what the earlier ones smell like. I can't say enough about how cute the bottles are. Worth having one for that alone. 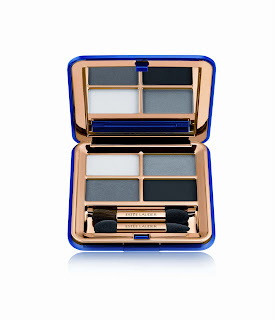 These hit Sephora.com & Sephora stores exclusively in January and are at http://www.dkny.com/ . Retail is $ 55.00 for each 1.7 oz bottle. Want to ring in the New Year like a Bombshell? Who wouldn't? 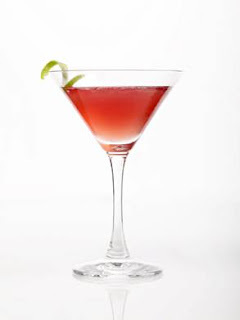 Well just for you we have the Bombshell cocktail, created for the Victoria's Secret models at the holiday show viewing party with 42Below Vodka . 42 Below is a premium vodka coming to us from the pure waters of New Zealand. Their passion fruit flavor is unique , delicious and makes a nice addition even to basic old 7Up or Tonic Water. My holiday guests have been loving it all week. 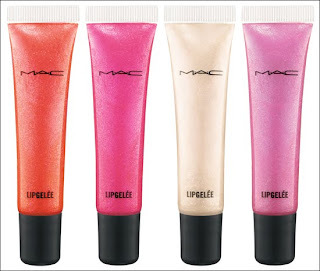 New in MAC Lillyland collection are glittery lip gellees. If you like sparkle and bling, these are Swarovski for your lips. I think maybe more so than Dazzleglass. I know I like them better than Dazzleglass. No grit feeling in these, just intense glitter and a creamy like consistency. The pigment here is strong as is the coverage. They moisturize nicely as well. I fell in immediate love. I own the two shown, but think I also need to add the pink-yellow-coral one called Lush & Bright. I wasn't expecting to love MAC in Lillyland as much as I am, but I have to tell you there are some major winners here. This is the PearlMatte Face Powder. It's carved flowers with 4 shades to be blended together or used separate. 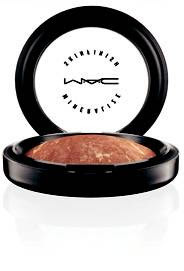 When all blended it gives a medium tan bronze look with little shimmer. I use it as a blush and it's perfect. For darker skins, it would work well as an all over powder. Like many of you, I have places to go, presents to wrap and Merry to make. So I'll be off for a couple days. I wish you, my readers, the very Merriest of Christmases. May all your wishes come true and peace to the world. New posts will resume Dec. 27th. 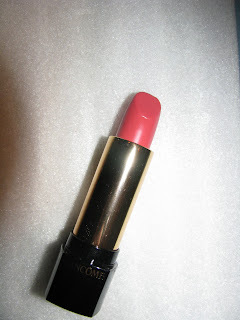 One of the most anticipated items at last Fashion Week wasn't clothing but the new Pout A Porter lipstick from Lancome. The series had many sellouts with shades like Behnaz Red . The line is back with designer Chris Benz called Chris and Tell, and I finally got a sample to try. It's a pretty one, too . A very creamy , non shimmer coral in the Rouge Absolu formula. Not super bright but in no way pale either. 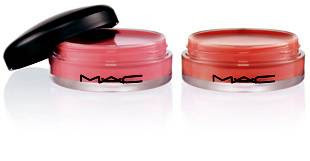 It's a bit retro but if you love coral or want to add a real pop to your lips , this will do it. Coral and peach was all the rage on the catwalk during Spring fashion week, and this is an easy way to get into the trend. Here you can see Twilight star Ashley Green sporting it at the New Moom premiere. Saks NY has a wait list if you are ready now-The Chris & Tell waiting list is open at the Saks Fifth Avenue New York counter. Call 212-940-2033 to be added to the waiting list. 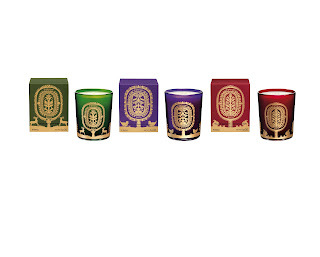 One item on my must try holiday list is the new Winter/Christmas candles from Diptyque. All of these sound wonderful, but the Roasted Chestnut best of all. So far I've missed trying them and they are selling out fast. 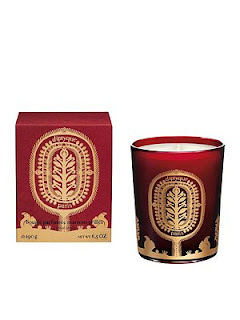 The new candles are LE and the glass is decorated with original motifs inspired by the themes and intricate scissor work of the famous Wycinankis from Poland. Scents were inspired by childhood memories. aspects of rockrose, it has the evocative power of an enchanted journey. vivacity of eucalyptus, emanate from evergreen branches. Christmas candles are $68. 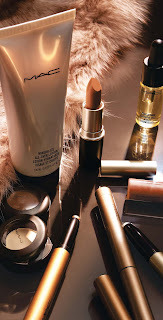 Find them at http://www.beautyhabit.com/, http://www.saks.com/ , Barneys, and more. 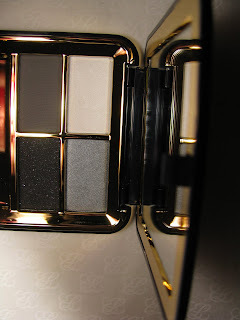 Adina of Krasey Beauty takes you to the future with a detailed review of the Chanel Spring 2010 collection. Butterflydiary finds that acne can be cured at a touch with Zeno Hot Spot. 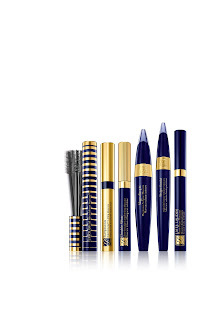 Clumps of Mascara finds that water intake is beautiful! The Product Pasha helps you find the perfect fragrant gift for the scent-snob in your life. DivaDebbigives you Part One of her favorites for 2009. Glamour.com went behind the scenes with the Radio City Rockettes recently ( how fun) and in case you missed it on their website , here is the link and some photos. There are great pictures and some good tips. I see lots of MAC on their tables. Last minute shopping for the Twilight Movie fan, or Twihards , as they are known ? If they'll love anything Twilight inspired , then here's a new makeup collection that should fit the bill. With Nordstrom's always lovely gift boxes, you can wrap up your gift in a flash. 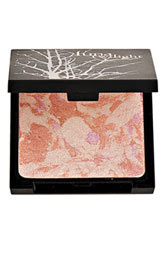 - Luna Twilight Mortal Glow Blushing Cream - $20 This breakthrough blend of mousse and cream blush glides on effortlessly for a satin finish that perfectly emulates a vampire’s ethereal glow. - Luna Twilight First Light Body Glow - $34 exclusively Highlight collarbones, arms and legs with a light-weight, hydrating body illuminator that leaves skin dazzling. 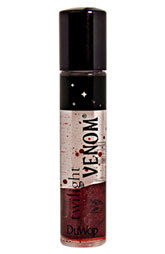 - Luna Twilight DuWup Lip Venom - $16 Apply this Venom-laced lip conditioner for a crimson stained pout with an intensely potent bite. - Luna Twilight Moonshadows Eyeshadow - $20 Smudge on this dual shimmer and cream shadow for a mysterious smokey eye effect. There is also a color palette, staining balm and lip gloss. Korres in general makes some nice products. Like many I love their bath products. I had never tried any of the skincare before. They've recently launched 2 new products under the Quercetin & Oak line-a night cream and day cream with SPF. I am familar with quercetin as an herbal ingredient, it's made up one of the best natural allergy fighting vitamins I've used. What it does exactly, I can't say. However Korres has put a lot of research into this line, which is what got my attention . According to the company: "The Quercetin & Oak collection is the result of a five-year study on aging at a cellular level, which found that Oak-derived Quercetin naturally boosts cell regeneration to combat all signs of aging. The outcome of the Nobel Award-winning study has undergone high-scrutiny independent testing, confirming that the new patent-pending line really delivers when compared to existing, conventional formulas." That sounds good , right ? So I tried the day cream . Happy to see that it came in a combination skin version as well as normal. Now I don't have many lines thankfully, so I can't attest to the wrinkle fighting too much but I can say that for oily skin this is a great moisturizer/sun protection product. The day cream comes out of the pump in fairly heavy lotion but it is not heavy at all on skin. Once you rub it in a bit, you feel as if nothing is on your skin. It leaves little moisture. Just enough for the really oily skinned. Then you get your needed SPF without greasiness and antiaging ingredients as well. I like that I can fight lines, have SPF with such a light lotion. There is no scent either. In winter I actually will need something heavier, but for warmer weather this is great. 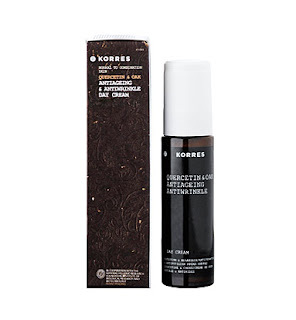 The day and night creams are at Sephora, Sephora.com and http://www.korres.com/ where they have a lot more info on the ingredients and even a video. It's hard to beleive that Estee Lauder has gotten in on the black makeup trend, but they have. They have done it in a more wearable way than some or maybe just a toned down version. 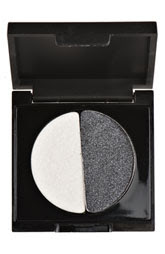 The new eyeshadow quad, which is a permanent addition, is Black Smoke and has lightest to darkest shades. The line also has the deepest black in every mascara formula they make. So no matter which you love best, you can have it blacker. I tried the Double Wear, and I have to say it wasn't that dark. Now I don't like deep black mascara, so that was fine by me. It's a little darker than normal but no way will you have soot lashes. The mascaras are LE. 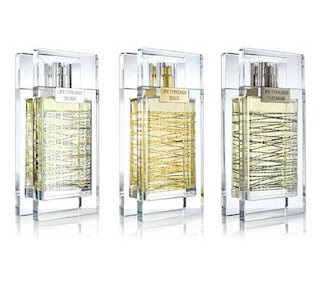 La Prairie delves more into the fragrance world with Life Threads, an oddly named but well done line of perfumes. Named in part to reflect the ties that connect us to people and places all our life and inspired by the invisible red thread ,a legend from China that says the when a child is born, he or she is connected by that thread to everyone they'll ever know. 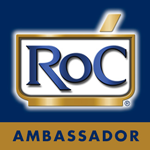 Life Threads comprises 3 scents- Silver, Platinum and Gold. A couple months ago I told you about the new items coming from Cover Girl and the online pre sale. Now I finally have tried in person the new Smoky ShadowBlast. When you see and use this, you wonder why no one thought of it before. 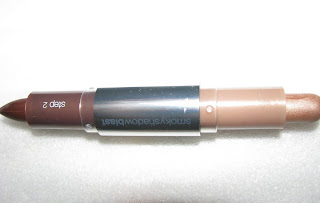 A 2 in 1 creamy eyeshadow pencil that has a light and dark shade. The darker one even has a pointed end for precise lining. I have the Bronze Fire duo - gold and deep bronze. Two of my favorite colors. This applies like a dream. Light shade swiped on eyelid, deep shade in crease and on eyeline if you want. It's that easy. Not only is this good to keep in your bag for easy touch ups, but if you are not handy with a makeup brush or pressed for time, you can get that smoked, lined look quick. In stores January, but you may see it sooner . MAC is rolling out quite a few new lines from winter to Spring. 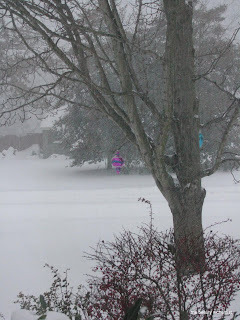 One I loved immediately is Warm & Cozy. Comprised of lots of neutrals, ambers, and spiced cider shades, this is perfect for me, and maybe you. Warm & Cozy hits right after Christmas on Dec. 26th and has some new items including Care Blends Essential Oil mixes and Mineralize All Over Lotion as well as the return of Shadesticks. Clumps of Mascara loves red lipstick and challenges you to wear your favorite red lippy during the holiday season. Butterflydiary gives you the Screen Siren Lipstick Guide and tips to achieve stars’ pouts. Adina of Krasey Beauty has 3 Ecotools Overnight makeup bags to give away! 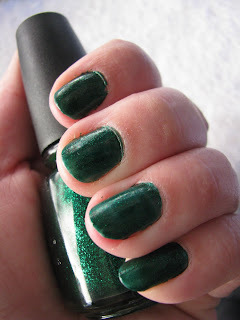 The Product Pasha lets out her inner holiday diva with a little help from Orly Femme Fatale. 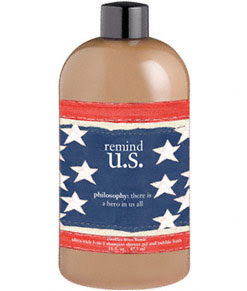 remind u.s. is Philosophy's newest shower 3 in 1 and newest addition to the shopping for a cause lineup. 100% of the net proceeds from the sale of remind u.s. benefit the Bob Woodruff Foundation, which provides resources and support to service members, veterans and their families to successfully reintegrate into their communities. It smells like fresh cookies and has a red, white and blue label. One of my best friends is a Naval Reservist/Recruiter and she will be getting one of these. This makes a great gift for the military person in your life, or perhaps a military mom. **Thru December 14th save 20 % on all orders at the site. Do we all not need a Happy Day? We do. Clinique is here to help. In a fun promotion they are celebrating Happy Day December 11th. Something free for you makes it even happier in this time of giving. You can create an e-card for loved ones online, and pick up free Happy To Go fragrance pencils at your local counter that day. The pencils were a fav product of mine from last year and I was very happy to see them make a return. This year they come in a darling silver carry case , much better than last years see -thru bag. Happiness is contagious evoking feelings of universal joy. In a tough economic climate, it’s even more important to spread happiness and give back in meaningful ways. For the third consecutive year, Clinique is partnering with Big Brothers Big Sisters, the largest youth mentoring organization in the country, to continue its tradition of engaging in random acts of happiness. · Help spread holiday cheer by creating one-of-a-kind holiday cards for all your Facebook friends using Clinique’s Happy Day Card Designer, a customizable e-card application on Facebook: http://apps.facebook.com/clinique_happyday/fb/welcome. It’s easy, simply select pictures from your Facebook albums, choose a pattern, background colour, Big Brothers Big Sisters icon and greeting and you’re ready to go. · Clinique has also teamed up with children from Big Brothers Big Sisters to create personalized holiday cards which will be available complimentary at Clinique counters nationwide and at Clinique.com with a $30 purchase. In addition, to help support Big Brothers Big Sisters initiatives, Clinique has made a cumulative donation of $350,000. · Reward yourself, stop by a Clinique counter on Happy Day and pick up your free gift. 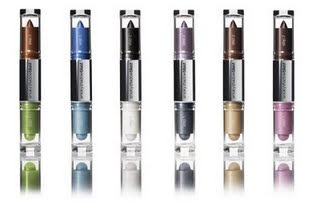 Happy-To-Go fragrance pencils will be given out at Clinique counters nationwide. 3. Perform an act of happiness. 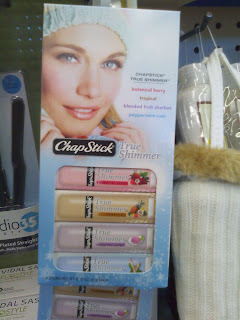 In Walgreens last week and saw this boxed set of all 4 Chapstick True Shimmers. Now you know I love my lip balms and the True Shimmers are very nice. 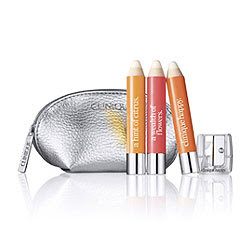 This set of all 4 boxed up is a cute stocking stuffer for the lip balm addict on your list. 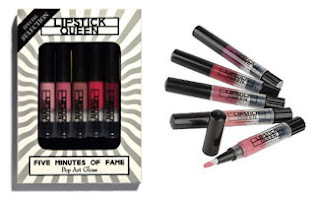 Lipstick Queen has this fab gift set of her new 15 Minutes of Fame glosses. These are loaded with color pigment and have a smooth, not too sticky feel. 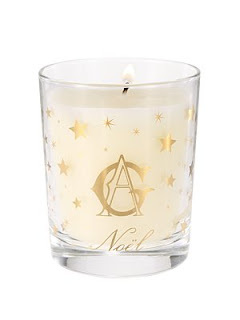 The Noel candle by Annick Goutal is a holiday tradition. Each year it comes out in time for Christmas and in a new glass design . This year's has gold stars floating all around the glass. The scent is of a beautifully fragrant live Christmas tree with a hint of citrus. It's not artificial or cloying, not too overdone. Just fresh and lovely, what you'd expect from such a quality fragrance house. The wax is a clear white so it will go with any decor. The candle comes in a large size that has a burn time of 60 hours( $ 65.00), a set of 5 votives( $ 52.00), and a room spray( $ 46.00). Available at Saks, Neimans, Nordstrom and more. New for the holiday line, Plum Pearl lipstick is a beauty, but a somewhat odd one. I love it but it's not one I can wear all the time. But thats what makes it so nice. It's not like lots of other shades out there. 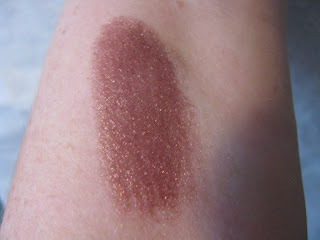 Called Plum Pearl but very brown based, it's hard even in the photo to show the exact shade. It's a plummy brown , a metallic and goes on medium dark, but not very dark. It's very much a cold winter color. When you wear your browns and greys and grieges , this will work. Part of the Metallics lipstick line. It's a party for your fingertips. China Glaze's holiday collection this year is Loves You Snow Much. It's 4 glitter flecked polishes to sparkle and bling this Christmas. I am in love with Emerald Sparkle but I also love 5 Golden Rings almost as much. These polishes go on sheer and I needed 3 coats to get the coverage I wanted. Glitters are normally sheer based, so you just work with it. The two remaining shades are Tinsel- a light silver , reminiscent of icicles on a tree, and Ruby Pumps- the super pretty red. All are nice and will get you feeling festive in no time. 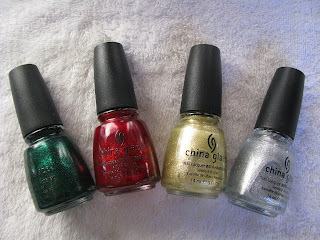 You can find China Glaze at Sally Beauty, Ulta and more. ThinkThruFashion gets lucky with Steve Madden's Scratch & Shop cards. DivaDebbi tells you how to keep whiteness off your clothes and on your teeth. Butterflydiary thinks this scent is just spritz perfect for the season! 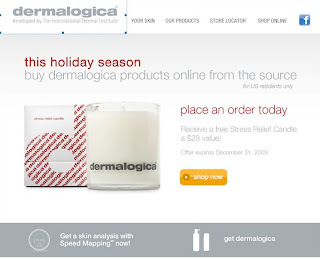 The Beauty Alchemist does a Holiday Gift Guide. 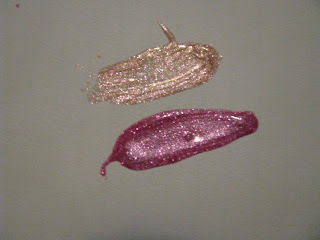 Get a sneak peek, and meet the newest addition to the Zoya Nail Polish Spring 2010 Reverie line- Adina!